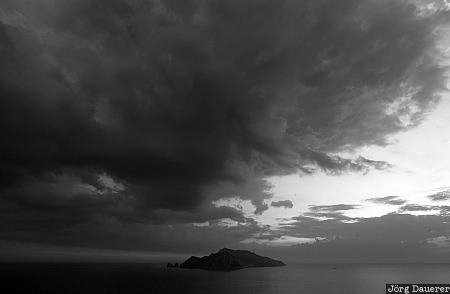 Dark clouds over the island of Capri in the Golf of Naples, Campania in southern Italy. This photo was taken in the evening of a sunny day in early May of 2006. This photo was taken with a digital camera.